In the process of winter blues, I recently made the mistake of visiting an old friend at his dealership. I was there for a meeting with other people but factored in time to see said mate and chew over both the fat of the land and various gossip from various corners of the paddock. The conversation inevitably moved on to what motorcycles we each had at the moment. Which seemed fair enough. Until my mate asked if I wanted to see what he’d just finished as his ‘new’ project bike that he’d used some of the 250 money on. 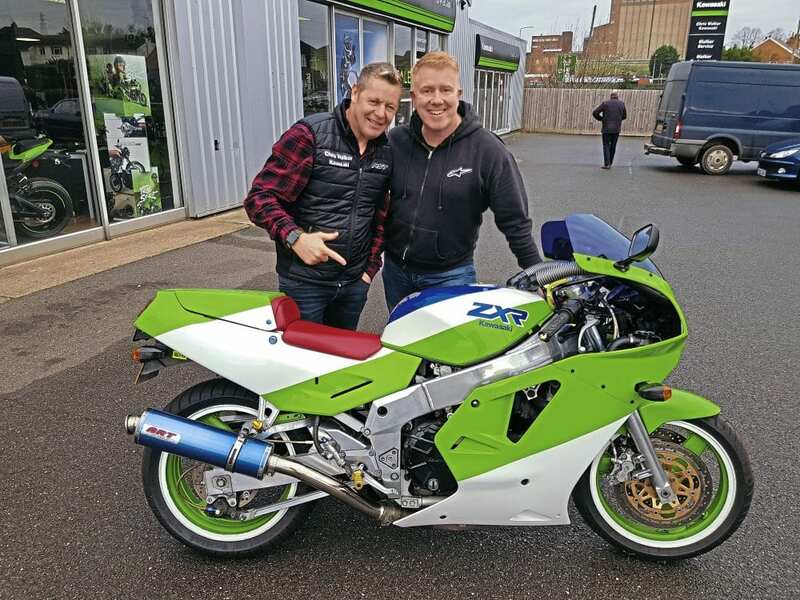 We went into the workshop at his dealership and there was an immaculate ZXR750 H1. A gorgeous 1989 hunk of time wrapped up in what looked like extremely fresh Kawasaki goodness. Yeah, I said. That is lovely. That’s the sort of bike I’d like next. “Come have a look at these bikes,” said my friend and we worked our way along a list of machines lined-up out of the way. Mostly bikes taken in on part-ex. There’s a healthy mix of old motocross and road bikes. Then I saw it. A petrol tank with two unmistakable hoover hoses springing from it. “That an H1?” I asked. Long story short, I bought it. Well, the season’s not too far away. I’ve just got to get on with getting it in some sort of shape for a bit of classic fun somewhere. But where on earth to start.